This collection consists of subject files related to President Jean-Bertrand Aristide of Haiti. It contains correspondence between President Aristide and President Clinton that is routine in nature such as congratulatory and birthday greeting. 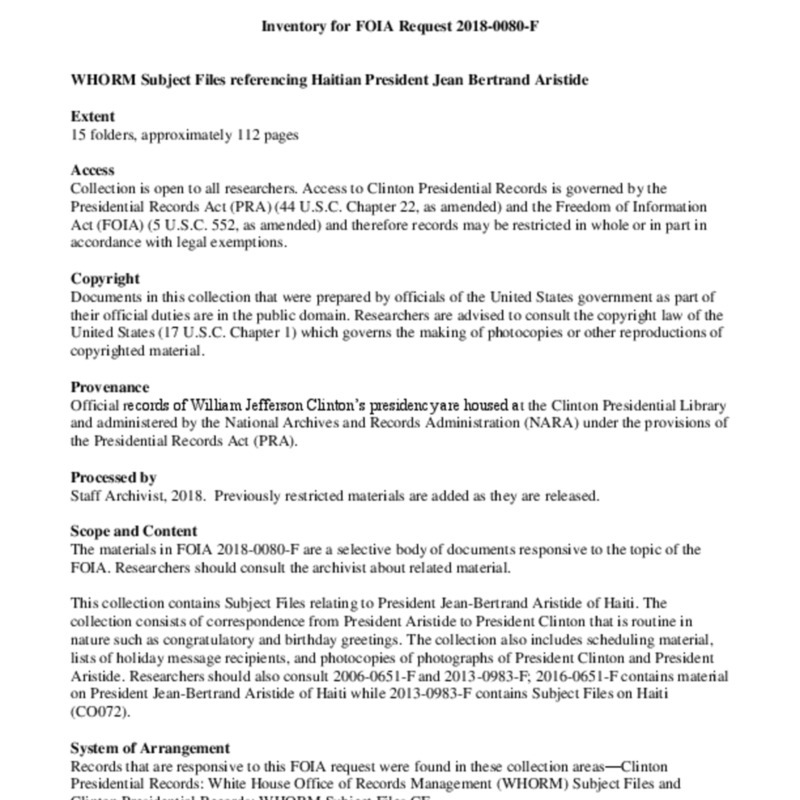 The collection also consists of scheduling materials, lists of holiday message recipients, and photocopies of photographs of President Clinton and President Aristide.